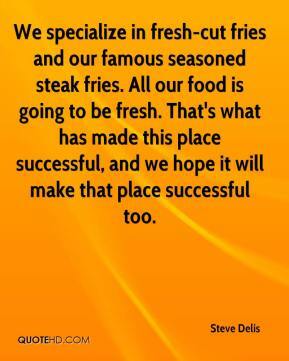 We specialize in fresh-cut fries and our famous seasoned steak fries. All our food is going to be fresh. That's what has made this place successful, and we hope it will make that place successful too. 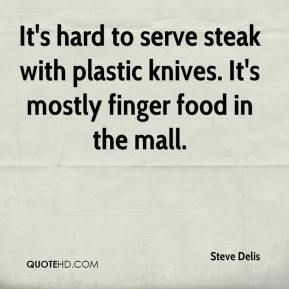 It's hard to serve steak with plastic knives. It's mostly finger food in the mall.